I have not made it a secret that I often disagree with the Grammys. Their choices of winners for various categories sometimes makes me shake my head in puzzlement and I don't think I have agreed with their pick for, "Album of the Year," since they awarded it to, "Speakerboxxxx/The Love Below," way back in 2004 for OutKast's 2003 masterpiece (which some argue set an impossible standard for rap albums to win album of the year henceforth due to it being so, well, OutKast-y). 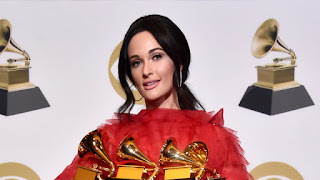 However, last night the Grammy's awarded the coveted album of the year to none other than Ms. Kacey Musgraves for her incredible LP, "Golden Hour." I raved about, "Golden Hour," when I first heard it and didn't hesitate to say it was my album of 2018. She also won at the show for best country album, best country song (for, "Space Cowboy,") and best country solo performance (for, "Butterflies), all well-earned accolades. I am as surprised as anyone that I loved a country album to this degree, especially considering I generally have not listened to the genre much outside of some Garth Brooks and Shania Twain. It truly did break out of the, "Country music bubble," thanks to a unique sound and how Musgraves herself has always defied the country-music stereotypes (she proudly supports LGBTQ rights, cannabis decriminalization, etc.) all to create this incredible music. While I did enjoy the, "Black Panther," soundtrack which was also nominated for best album and had a decent chunk of Kendrick Lamar on it (another musician with amazing work), I thought its mixture of artists resulted in a slightly disjointed overall theme/feeling, even if Lamar and SZA's, "All of the Stars," is a phenomenal song and deserves a win at the Oscars. I'm so happy for Kacey Musgraves and can't wait to see what sonic wonderland she makes for her next album. Oh, and don't think I forgot that, "This is America," won song of the year, being the first rap song to do so thanks to Childish Gambino's/Donald Glover's exemplary song-writing. 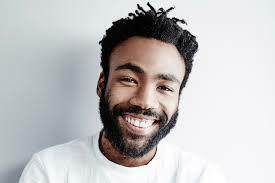 He also won record of the year, which is not to be confused with Musgraves album of the year win, as despite the confusing title record of the year honors a single song--hence, "This is America," winning that. He was awarded music video of the year too, so cheers all around for the amazing Mr. Glover. Yeah, it was finally a Grammys I agreed with more than not, for the first time in over a decade--who would have thunk-it?